There's a 10 year old girl in there. 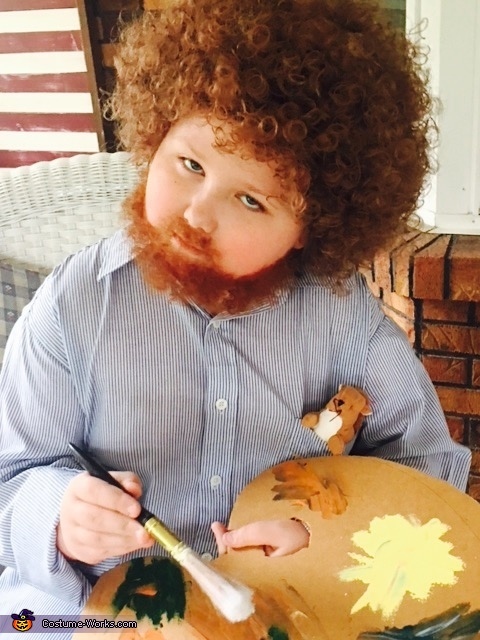 My 10 year old daughter has latched on to Joy of Painting on Netflix and I was super excited when she asked to be Bob Ross this year. All it took was a little wool, spirit gum, an Afro, a button down shirt, a palate and a happy little squirrel for her pocket.